TL;DR: Ist Trumps jüngster Sohn Barron ein mit einer von Tesla erbauten Maschine reisender Zeitreisender aus dem 19. Jahrhundert? 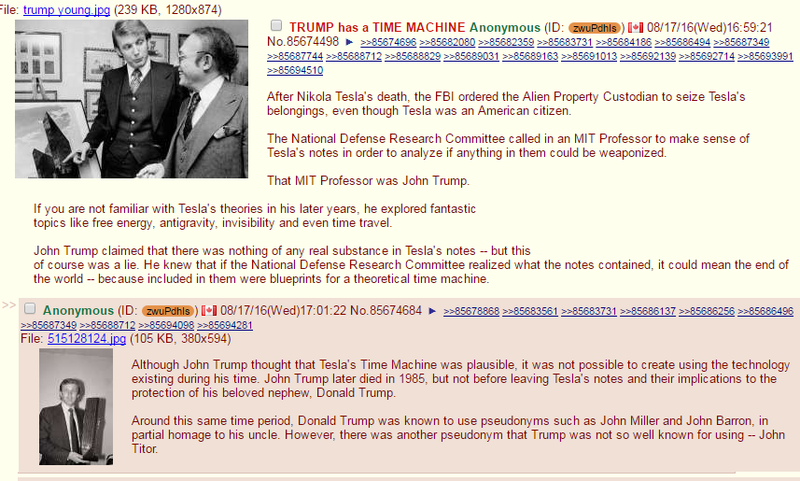 Is the president’s son a time traveler? 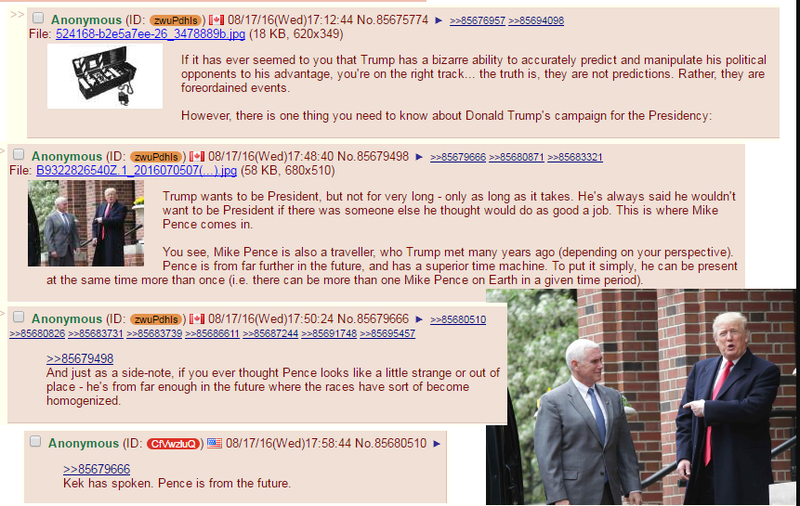 Sounds like a silly question, but this is what the good folks of 4chan have been pondering over this past month; and all things considered, its not really that far of a stretch. It all begun when one /pol/ack discovered a 19th century author of fiction by the name of Ingersoll Lockwood. 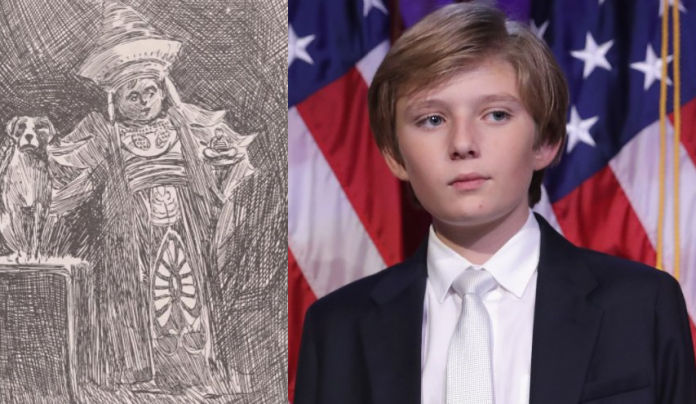 Lockwood, who died in 1855 (91 and 151 years before President Donald Trump and his son were born), wrote several stories centered around a fictional character named “Baron Trump”. 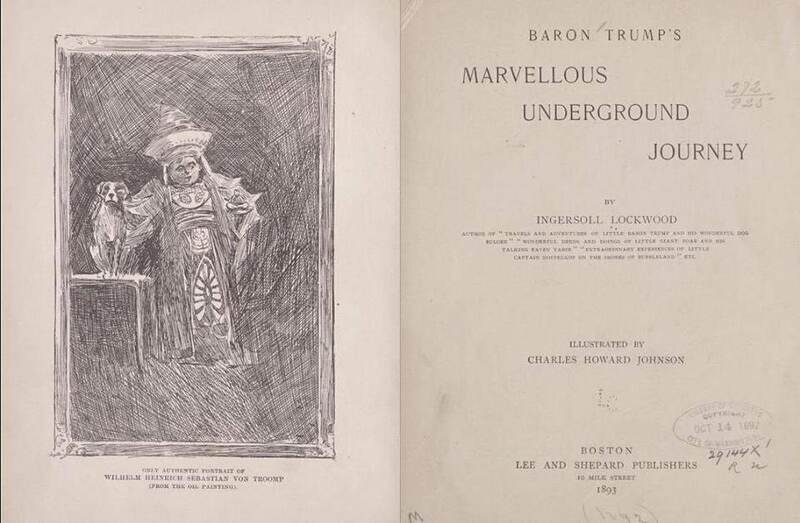 The first two books, titled “The Travels and Adventures of Little Baron Trump and His Wonderful Dog Bulgar” and “Baron Trump’s Marvellous Underground Journey”, tell the story of Baron Trump, an aristocratically wealthy young man living in “Castle Trump”, who is bored of the luxurious lifestyle he has grown so accustomed to. Young Trump decides to pay a visit to Russia, to embark on an extraordinary adventure that will shape the rest of his life. Both of the books are archived by the Library of Congress and can be read in full on Archive.org. It get’s spookier: Baron Trump is mentored in the books by “the masters of all masters”, a man named “Don”. Before leaving for his voyage through the unknown, Trump is told of his family’s motto: “The pathway to glory is strewn with pitfalls and dangers. Having bid farewell to his family, Trump heads to Russia to locate an entrance into alternate dimensions. The first two books state that there is no recorded history of Baron Trump’s death, instead, he finds a time machine and travels to the future – The is where the third book comes in. The entire East Side is in a state of uproar,” police officers shouted through the streets, warning city folk to stay indoors for the night. “Mobs of vast size are organizing under the lead of anarchists and socialists, and threaten to plunder and despoil the houses of the rich who have wronged and oppressed them for so many years. “The Fifth Avenue Hotel will be the first to feel the fury of the mob,” the novel continues, citing an address in New York City where Trump Tower now stands. “Would the troops be in time to save it?” Yes, you heard that right. A hotel in the novel that the protesters planned to attack stood in the exact same location where the Trump tower is located today. The protests in the book are taking place during an eclipse. Coincidentally, The United States is set to experience a solar eclipse on August 21st, one that hasn’t occurred since 1776. 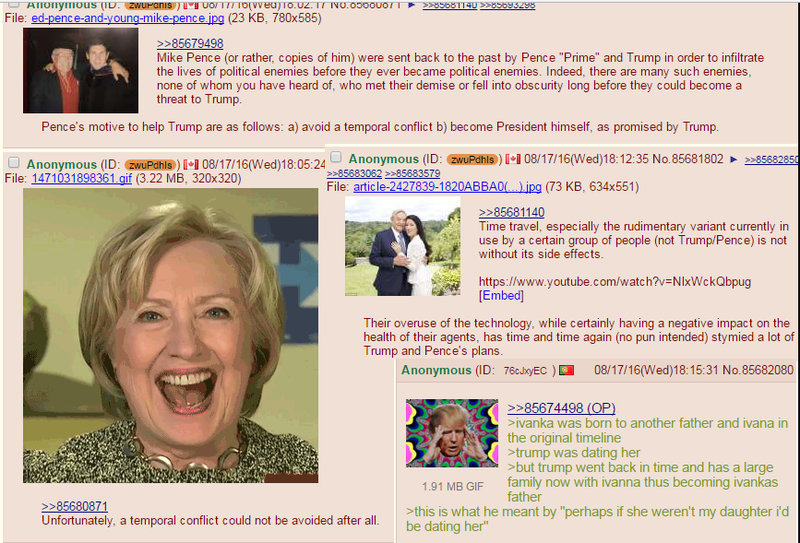 We’re not done yet, folks – The Rabbit hole goes much deeper. In 1943, after Nikola Tesla’s death, the F.B.I declared all his research to be “top secret” and ordered all his possessions to be seized. The F.B.I later appointed an M.I.T professor to make sense of his notes, to see if any information in them could be used to create military weapons. That M.I.T professor was none other than John Trump (Donald Trump’s uncle). (Source: Business Insider). 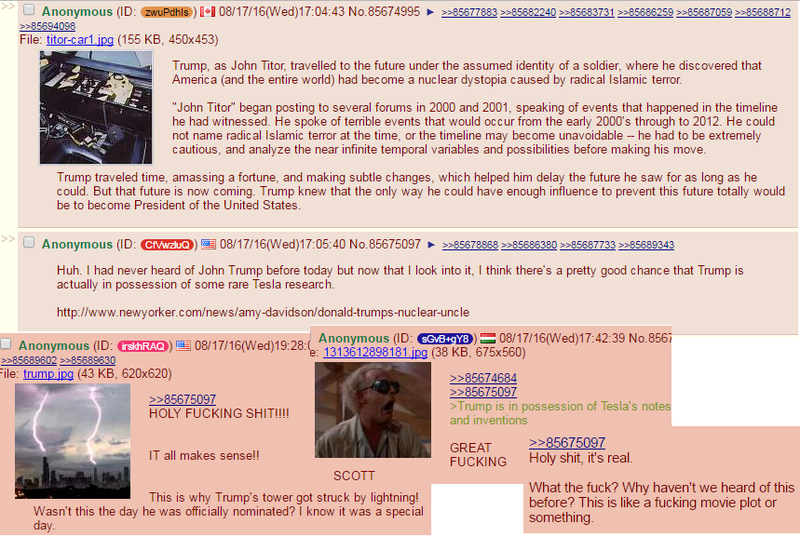 Curiously, Tesla is well known for conducting an awful lot of research around time travel and teleportation. The type of research that could potentially create….. say……. a time machine? 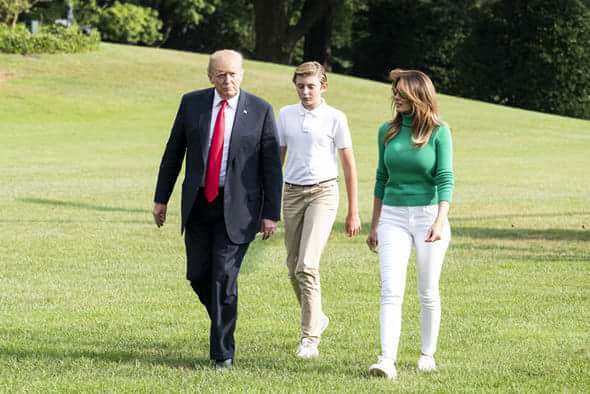 Der stärkste Punkt dafür, dass das nichts mit Barron Trump zu tun haben kann, ist wohl, dass der Junge das Gegenteil von "little" ist. 12 Jahre alt, 1,89 Meter hoch. Sein Vater ist 1,90 Meter. Wo soll das aufhören?